“We all need to be better networkers,” says Michael Nord of the International Association of Business Communicators. “Networking is a business skill that even introverts can master,” says Cheryl Cooper of Applied Wisdom. 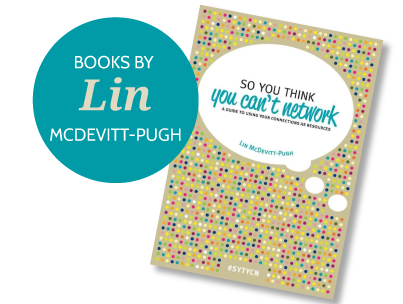 “Networking is a business skill that companies underestimate because it can’t be quantified and can’t be managed,” says Lin McDevitt-Pugh, author of the book So You think You Can’t Network. I have heard so many people say “I can’t network”. The truth is, we all are connected to other people. We are just not proficient in involving others in the projects or work or dreams we have. It is not chatting with friends during that inevitable drink at a conference. Networking is not handing out business cards to strangers. 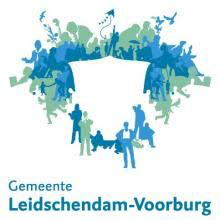 On June 28th, Cheryl Cooper and I are giving a masterclass on networking in Brussels. When we talk about networking, we are talking about reaching out to people you know in such a way that they can contribute to you and you can contribute to them. We are talking about involving the people you know in your projects and professional ambitions. We are also talking about mastering something you can already do. Because connections with friends and family is part of being human. And we try to go it alone too often. People are there for us. Let’s honor that and involve them. In our masterclass you will discover how to do this with grace and ease – even if you are an introvert! NETSHEILA CONNECTS. WE ARE INSPIRED BY DIGNITY AND RESPECT FOR ALL PEOPLE. WE WORK WITH SCHOOLS, UNIVERSITIES, GOVERNMENT OFFICES, NON-PROFITS AND COMPANIES. Refugees and the Dutch: do we pass the test? How Do You Think Lesbians in Europe are Faring in Europe? Would you like to know more about us? Contact us. How effective is your organization in making use of employees as a source of capital? Do people let each other know what they are up to? Do people involve their colleagues in their projects? Are you satisfied with how you engage with your network? Do you need experts for a gender research project? Would you like to explore any of these questions further? Call Netsheila for a free consultation on how we can make a difference.